Today I’m studying the smallest holding in my portfolio — M Winkworth (WINK). 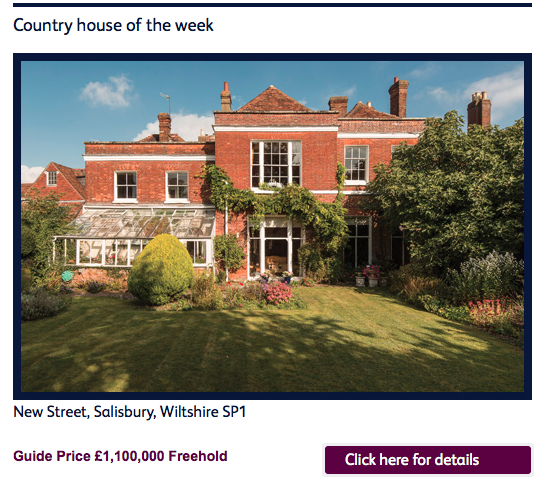 In fact, this £16m estate-agency business represents less than 1% of my portfolio… and so is unlikely to send my wealth into orbit even if it does multi-bag! I bought WINK at 90p during June and July 2011, but then sold 70% of my shares between August 2013 and February 2014 at an average of 173p. At the time I was a bit worried about WINK’s substantial exposure to London’s booming housing market — and I probably would have sold the rest of my shares were it not for the price dropping to today’s 123p. Including some very useful dividends collected along the way, my total return to date has been a respectable 92%. Anyway, I still hold WINK and the business continues to offer some attractions. It’s a simple ‘franchiser’ for a start — and so collects commissions from its estate-agency franchisees without having to do all the hard sales work itself. Furthermore, margins are high, returns on capital are huge and there is a veteran family-management team in place as well. I am also happy continuing to collect those useful dividends — there’s now a 5% yield on offer at 123p. That said, WINK is not perfect and my dreams of this business attracting vast numbers of new franchisees — at little cost to shareholders — has not really played out. Despite WINK’s insignificance to my portfolio, I suppose one day this share could become an outstanding top-up opportunity. However, I will never spot such an opportunity unless I catch up with the company’s progress first! A 1-bed flat for how much?! M Winkworth (WINK) was established during 1835 when it opened its first estate-agency office in Mayfair, London. It’s modern history started in 1974, when Simon Agace — the group’s present chairman — took control of what was then a three-office chain and expanded it to eight locations by 1981. Mr Agace then decided to adopt a franchising approach, whereby senior managers could own their own branch and pay WINK a commission on their property sales and lettings. In return, the branches would get to use the known Winkworth brand, benefit from wider marketing campaigns and receive in-house administration and IT support. Importantly, WINK remains a pure franchising business today — it does not employ any estate agents nor does it operate any branches. The group’s franchisees are mostly London-based — 80% of WINK’s turnover came from the capital during 2013 — with the rest produced from offices located in either well-heeled provincial towns or Europe. Sadly my financial archives do not stretch back to WINK’s formation in 1835. The earliest document I have is the group’s flotation prospectus, which covers only 2006, 2007 and 2008. Still, that report is good enough for me — those years include the credit boom and subsequent crash, which knocked many estate agents for six. WINK was confident enough to join AIM during late 2009 — only a year after the banks went bust. 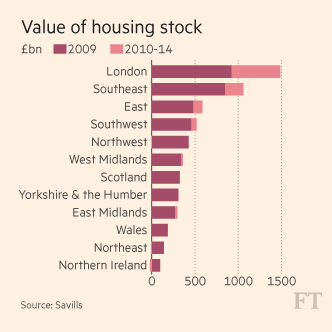 The shares floated at 80p and London’s subsequent house-price boom did at one point push the shares beyond 200p. Could the general election end the boom? London’s booming property market has undoubtedly underpinned WINK’s progress, with new branches also lending support. I believe WINK’s franchise network has grown from about 80 offices to almost 100 in the UK since 2009 — although I get the impression that expansion is much less than WINK had originally hoped for. I was pleased September’s interim results showed bumper figures. WINK’s franchisees lifted their aggregate commissions by 23% to £23.5m, which in turn translated into WINK’s own turnover advancing 20% to £2.5m. Pre-tax profits jumped 35% to £803k and the half-year dividend was lifted by 0.3p to 2.9p per share. “The general election, expected in May 2015, is no doubt an important contributor to the quieter market. Uncertainty in the run up to the election has been most apparent at the top end of the market as a result of concerns over a mansion tax and new measures impacting overseas buyers. In addition, WINK estimated prices in prime central London could fall 5% during the first half of 2015 and predicted transaction numbers in the entire market would be flat. WINK also projected its letting-related income would grow 10% this year as “employment improves and wage inflation starts to come through, thereby pushing up rents”. The aforementioned Simon Agace is now in his 70s and today steers WINK as non-exec chairman. His son, Dominic Agace, was appointed as chief executive in 2005 and, still in his mid-30s, is presumably set to lead WINK for some time to come. Agace senior boasts a 42%/£6m shareholding while Agace junior owns a further 4%/£672k. I’m therefore hopeful WINK can continue to be another successful family-run investment for my portfolio. WINK’s third board member is the finance director, who — according to the flotation document — works “up to 2 days a week but may work additional hours when required”. I’m sure that explains why WINK’s annual reports contain minimal reporting and disclosures. I’m also sure that explains why the FD’s annual wage and bonus in 2013 came to just £35,845. On the subject of pay, I can live with Dominic’s Agace’s £161k for 2013, and I’m guessing his father’s £73k non-exec fee reflects some unofficial ‘executive’ duties for the business. WINK’s fourth and fifth board members are non-execs, one of whom has a useful 3% investment. As you would expect from a franchise business, WINK enjoys a low cost base — and its high margins are very striking. Profits as a proportion of sales have come in at a fantastic 30% or more during the last four years… and were still a super 22% even during the downturn of 2008! Returns on capital are impressive, too. During 2013 for example, average net assets (excluding net cash) of almost £1.5m generated after-tax profits of nearly £1.3m — a return of 86%. The same calculation has topped 50% for the previous six years. During the last five years, WINK has spent £975k on capital expenditure over and above the depreciation and amortisation charged against earnings. Meanwhile, working-capital movements have absorbed a further £424k. During the same five years, aggregate operating profits were £6.3m. So you could argue only £4.9m of that profit — or 78% — has been converted into free cash. I must admit, when I originally bought into WINK, I expected this type of franchising business to have few demands on cash flow — and would convert its profits into cash at much closer to 100%. Nonetheless, the bank balance has been mounting up and the net cash position stood at £2.3m (18p per share) at June 2014. WINK’s shares do not look expensive if you believe group profits can be sustained during the next year or so. For the twelve months to June 2014, operating profits were £1.9m and I reckon underlying earnings were around £1.5m or 11-12p per share. Subtract WINK’s £2.3m net cash position from the £15.6m market cap (at 123p) and we arrive at an enterprise value of £13.3m or 105p per share. Divide that 105p by my 11-12p per share earnings guess and the underlying P/E is 9. That rating does not look expensive, and is supported by WINK’s unusual quarterly dividends. They’re currently running at 1.5p per share, which gives a 6p annual income and a near-5% yield. There are too many bullshitters working in the sector. I’m hopeful upmarket agents such as WINK will be able to mitigate against some of these downsides. Regarding the Internet threat, I’d like to think most people with a £1m-plus home to sell would trust a reputable agency — rather than the cheapest agency — to achieve the best outcome. But you never know. Whatever changes occur in the sector, franchisees using WINK will always be self-motivated entrepreneurs — and I dare say the more successful ones could always ditch WINK and go independent. Perhaps the most obvious influence on my WINK investment is the direction of the property market. All I can say is that, if there is a crash and transactions do dry up, WINK’s profits — and my investment — will be thumped. At least WINK did register a profit during 2008 and one-third of current sales are of the more reliable lettings-commission variety. I suppose the flip-side to having less than 1% of my portfolio in WINK is that if the shares do perform badly, I won’t be too distraught! Still, every penny counts and I’ve never really liked messing about with tiny holdings. I have mixed thoughts on what to do next. On the one hand, WINK’s shares do not look expensive given the group’s recent track record and accounting attractions. I am sure the experienced Agace family will do their best to reward outside shareholders, too. But on the other hand, WINK’s recent record and accounting attractions have been underpinned mostly by a booming London property market — which will surely come off the boil at some point. Plus the wider sector does have its investment drawbacks, while WINK’s reporting disclosures are poor — especially in comparison to fellow small-cap agency Martin & Co.
All told, WINK today at 123p does not look like an outstanding top-up opportunity. For now at least, I am minded to hold my WINK shares, collect the 5% income and get busy looking for companies where I have much more investment conviction. I suspect I won’t hesitate to drop WINK if I pinpoint a mouth-watering buying opportunity elsewhere! This entry was posted in M Winkworth, My Shares and tagged M Winkworth, WINK on February 6, 2015 by Maynard Paton. Very good article. London is amazing but I don’t see it being sustainable growth. I have a place in the South East so reasonably well placed.